Sunflower in Blue Discounts Apply ! 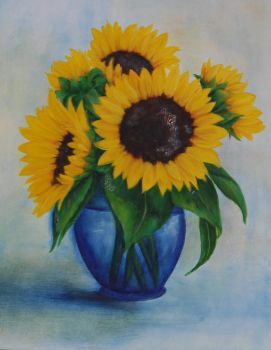 These beautiful Sunflowers in a Blue Vase are done on a 11"x14" Canvas and are painted using DecoArt Tradtions paint. Pattern packet includes a laminated color photo and step by step color photos in the instructions.